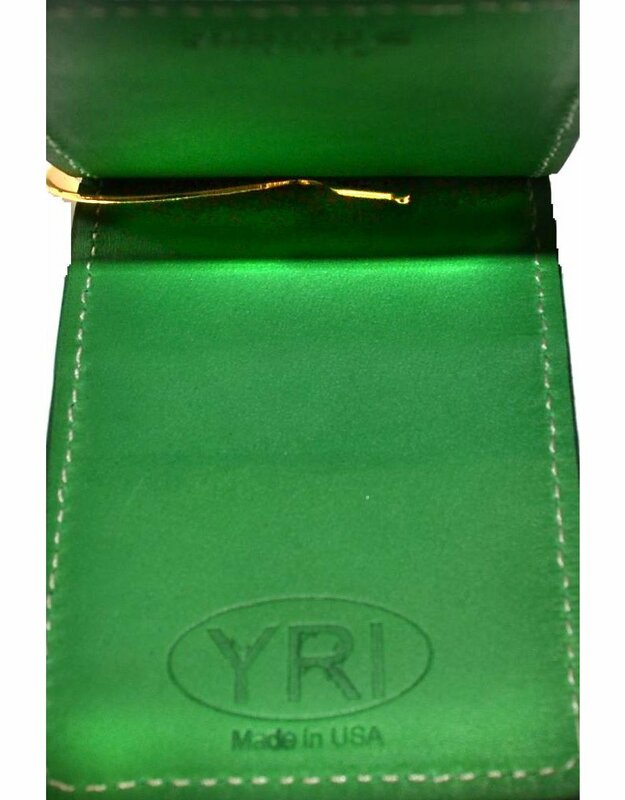 This green leather money clip is just the thing to hold your green. 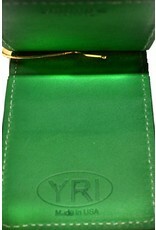 Features an internal spring clip to hold cash in place and two outer pockets for credit cards. 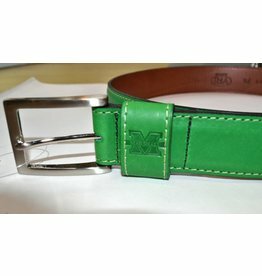 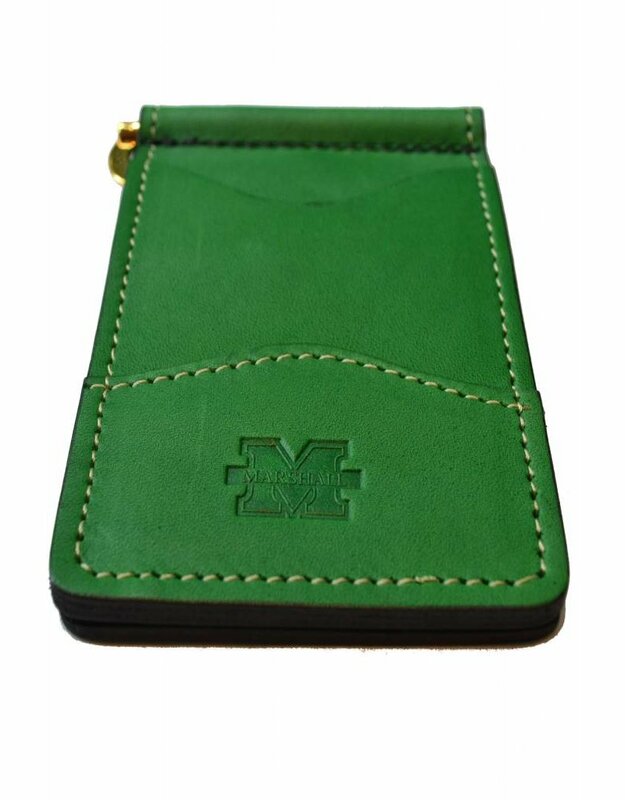 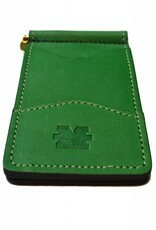 Embossed with the Marshall "M".